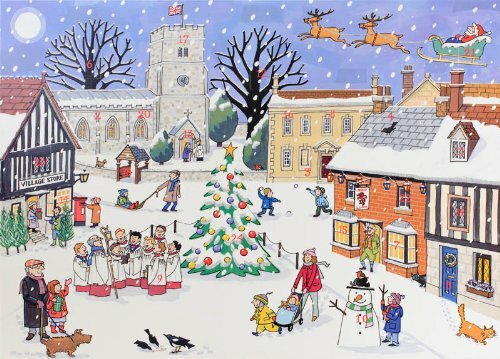 This advent calendar depicts a quaint English village ready for the Merry Season. Carolers sing while the villagers have a snowball fight and run their last minute errands, all while Santa Claus readies for landing. Find a festive illustration behind the door each day counting down to Christmas!